One of the common disorders, anaemia, is caused when the red blood cell count or absorption of haemoglobin in the blood is at a shortfall. Haemoglobin supply oxygen to all parts of the body, and there are a number of reasons that cause anaemia. Deficiency of iron, folic acid, and vitamin B12 are some of the main reasons of inception of anaemia. Females are more prone to this disorder. 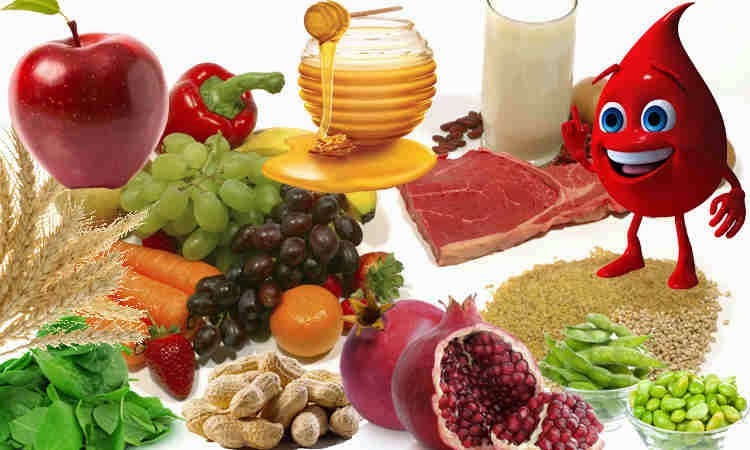 Here are some super foods that can cure the problem of anaemia, moderately. This popular leafy vegetable is superb in iron, fibre, vitamin A, B9, C and E, beta-carotene, and calcium contents. It is necessary to nourish your body with half cup of spinach every day to get approximately 20% of iron nutrients. It is an essential diet, especially for women as they are more prone to anaemia. Other green legumes that can render the same benefits are broccoli, kale, lettuce, and watercress. Just two tablespoons of oatmeal can give 4.5 mg of iron contents to the body. They too contain phytic acid, and hence; it is prudent to buy ‘iron fortified’ oatmeal. Fortified oatmeal also includes B-12 and a great quantity of other B-vitamins. Simply consume a handful of peanuts every day to fulfil the daily requirements of iron. Else, peanut butter will also perform the same. Eat a peanut butter sandwich with a glass of juice (especially orange juice) every day in breakfast to enrich yourself with 0.6 mg of iron. There are various other nuts as well that can provide iron, like prunes, raisins, dried apricot, dried peaches, almonds, figs and dates. To stock up high amount of antioxidants, proteins, and vitamins in the body, when you are anaemic, make sure that you have not overlooked to incorporate egg in your daily diet. An egg can render 1 mg of iron, and hence; having it every day will give you a munificent supply of dietary nutrients with a small amount of calories. To increase the assimilation of iron in the body at a rapid speed, have a glass of orange juice with an egg as vitamin C in orange acts as an ascorbic acid. Egg will not only cure anaemia, but will also make your bones and muscles sturdy. A slice of whole grain bread is said to provide 6% of the daily iron needs of the body. It also contains phytic acid (iron inhibitor), but breads are made after fermenting the wheat flour, which reduces the phytic acid, automatically. Whole grain breads are a very good source of non-heme iron, which is needed to curb anaemia. Other whole grain products, like pastas, cereals, and rice are also effective for this purpose. Tomatoes are also rich in vitamin C that is effective in treating anaemia. Drink a glass of raw tomato juice every day to get nutrients, like beta-carotene and vitamin E. Remember not to take any aerated or caffeinated drink with this as it can obstruct the process of iron assimilation in the body. When it comes to iron rich foods, beans of any variety, like soy, kidney, navy, lima, lentil, and pinto tops the list. One cup of any of these beans can give 5 mg of iron. However, it is necessary to cook them properly to enjoy their benefits. Beans contain phytic acids that are responsible in curtailing the absorption of iron in the body. Therefore, it is requisite to soak beans overnight, before cooking them. Additionally, beans are also enriched with high protein and low fat, which also proves to be effective in waning anaemia. These fruits are also useful in boosting the level of iron in the body. The vitamin C in apples can help in the absorption of iron. Dates are themselves rich in iron, and thus; helpful in treating anaemia. Beetroot is an effective blood purifier and is considered among the best ways to avert anaemia. Fresh juice, cooked vegetable, or as salad, beetroot is great in any of the forms. It contains a good amount of iron content. The nutrients in anaemia re-activate and re-establish the blood cells. Red beetroot is the best to treat anaemia.